You are currently browsing the tag archive for the ‘2011 earthquake’ tag. 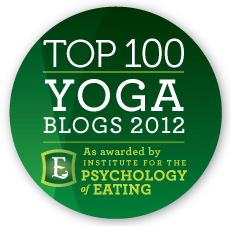 As I sit inside waiting for Hurricane Irene to pound us, I thought I’d take the time to reflect on yet another frightening weather phenomenon that rocked our world earlier this week–the Northeast Earthquake of 2011. Last September, my husband and I were out in LA for vacation. 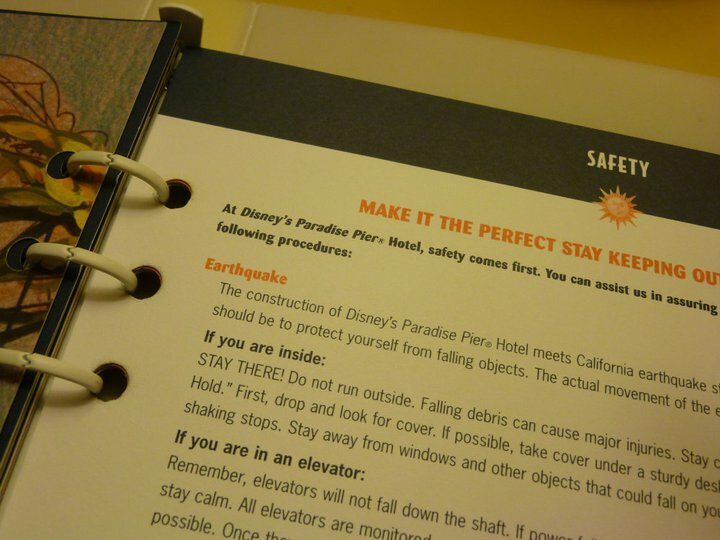 I was kind of scared about the possibility of an earthquake; even more so when I opened the Paradise Pier hotel directory and saw that the first item on the “Safety” page was not about fires or storms but rather earthquakes. Not used to seeing THIS in a Disney guide! We were in California for a week and there were no earthquakes. Fear not! Because the Northeastern U.S. would be getting its own nearly a year later! …dizziness? Huh? Suddenly my eyes had trouble focusing on my computer screen, and I feared the blurry vision I was experiencing before being diagnosed with astigmatism was returning. I looked at something stationary on my desk–my plastic Wall•E action figure–to try and gain my composure, but I still felt like I was rocking back and forth. 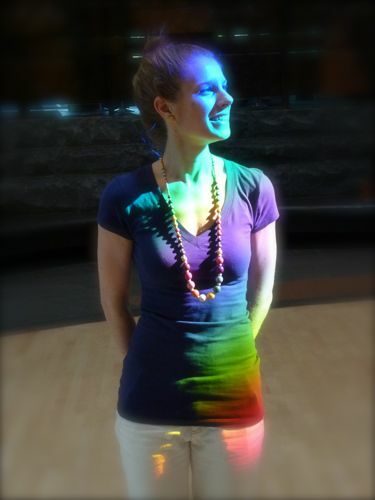 Soon the sensation was throughout my whole body, and I wasn’t sure if I was having some kind of “episode” or if maybe the giant dinosaur-sounding trash truck that visits our office every week accidentally hit the building. I called out to my officemates: “Do you guys feel shaking?” I heard a chorus of concerned yesses. Once it was confirmed that everyone felt something, panic set in. I remember looking at my spider plant and seeing the leaves swinging back and forth. At that point, a collage of thoughts hit me all at once as the shaking grew more intense: This is an earthquake. This is some kind of terrorist attack. A giant plane crashed (our office is directly in the landing zone for PHL). Our building–which has something physically wrong with it almost every week–has had enough and is falling to the ground. Despite the warnings in that Paradise Pier guide, we did not STAY THERE, and we all ran outside. I honestly thought our building was just dying a natural death and that ceiling tiles would start dropping. Outside was actually safe, with nothing but a wide expanse of parking lot, where everyone in the building gathered. Everyone was chirp-chirp-chirping, pulling out their cell phones, trying to figure out what just happened. It was at that point I realized that in my haste I had run outside with NONE of my belongings. Once those with smartphones had determined it was the 5.8 magnitude earthquake in Virginia that had shook us up, I quickly ran inside to get my purse and immediately came back outside. No one knew what to do. We just stood there, exchanging our stories about what we first thought the shaking was. Someone thought it was his cubemate violently shaking her desk in anger. Another woman, who sits behind the printer/copier, thought someone was going all Office Space on the behemoth machine. At home, my husband was afraid it was a tree falling down, perhaps even a gas line being hit. It was at this point my one friend, checking her iPhone, came across news about Will and Jada Smith breaking up. We joked that there should be no other news at that time except for earthquake updates, and yet we both confessed that this particular snippet of celebrity gossip actually piqued our interest and that it made the earthquake feel even more apocalyptic, (a) because New Jersey isn’t supposed to get that strong of an earthquake, and (b) it’s Will and Jada! They’re like peanut butter and jelly! What is happening with our world?! About 20 minutes later, after our pulses had slowed down and our respirations returned to normal, the CEO of our company announced that we were free to go home. “We don’t have any protocol for this type of thing, so….be safe, enjoy your afternoon.” Perhaps he too was concerned about our creaky building, or maybe more about the fact that our office is in the vicinity of several oil refineries, but whatever–I grabbed the rest of my things and got the heck out of that building. At home, Bryan and I exchanged stories about the quake. He was definitely more frightened at first, again, thinking a tree had fallen near/on the house. He was running from room to room, looking out windows, not sure whether to run outside (gas line?) or stay inside (tree about to fall?). Our wine glasses were clinking together. 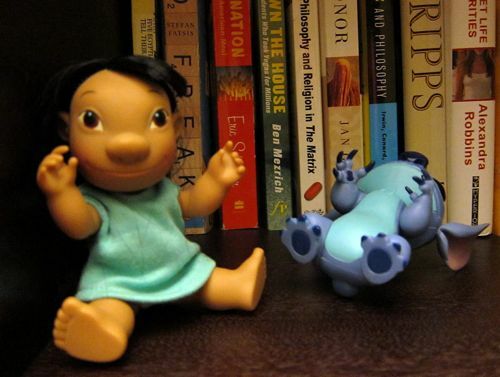 In the end, the only “damage” were a few photos that had fallen over and a plastic Stitch figure on our bookcase that lost its balance and tipped. I know West Coasters were mocking us for overreacting to the minor quake (which was probably only a 2 in our area), but let’s face it–most people affected by that earthquake had never, ever felt the ground move in the way it did on August 23. We’ve seen snow, rain, hail. Up north, heavy blizzards. South–hurricanes. But never a natural phenomenon that made the ground shake under our feet. I feel bad for people in earthquake zones–that sh-*t is scary! What we felt was so minor compared to the real deals in California, Haiti, Japan, and yet it was terrifying. However, we were all fortunate that we could experience what was probably a once-in-a-lifetime phenomenon without too many injuries or damage. Even in Virginia, near the epicenter, only minor injuries were reported. We’ve all had this shared experience, and it brought everyone just a little bit closer. Lessons were learned that day: Grab your belongings before you leave the building, all good things come to an end (Will & Jada! :-(), and don’t trust grandparents who foist their questionable cantaloupe on you. Despite the attraction’s name, the numerous warnings posted throughout the queue, and the fact that water canons visibly shoot jets of the wet stuff on the descending log boats, there are always people who exit the ride mad that their pants are soaked through and their shoes and socks a bit squishy. So many people, in fact, that Disney recently made some changes to the ride which eliminated the excess blasts of water. 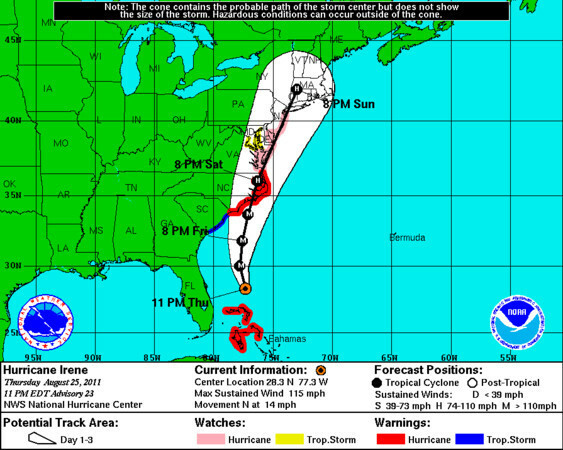 Welcome to Hurricane Irene. You may get wet. When I started writing this post yesterday, Irene was predicted to hit New Jersey as a Category 2 hurricane, something I’ve never experienced in my lifetime (it’s since been downgraded to a Category 1, but still–it’s a hurricane! They’re closing the New York City subway for crying out loud!!). The last major hurricane I remember coming our way was Floyd, in 1999. I was a sophomore in college then, living in youthful ignorance on the university campus. The storm was fun; it was something to get excited about. A bunch of students stood out in the torrential rain, mud-diving into the slosh pit that had formed by a small creek. However, now I’m a homeowner in my 30s. I live in a house surrounded by huge trees. My husband and I have two cars sitting in the driveway under said trees. We have a refrigerator and freezer full of expensive foods from Wegmans and Whole Foods. Our precious sump-pump, which has always saved us from any basement flooding, is at the mercy of working electricity. I was filled with anxiety yesterday morning, not sure what “to do” about the impending storm. We had a once-in-a-hundred-years earthquake just days ago; it was frightening at the time, but it was completely unexpected and caught everyone by surprise. There was nothing “to do” beforehand. With this hurricane, though, there is the gift/curse of foresight, and being able to watch that churning mass of weather off the Atlantic coast made me feel like I had “to do” something. Mostly, worry. Just like the dozens of “You may get wet” signs posted along the Splash Mountain queue, the news stations are posting all kinds of warnings and precautions. 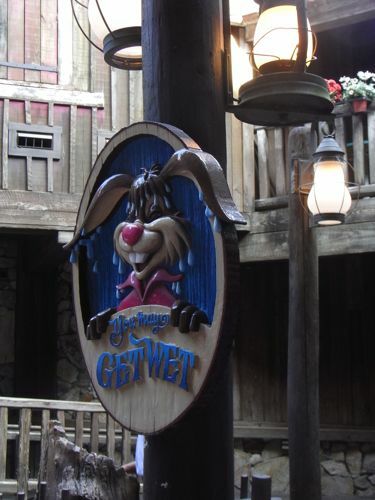 On Splash Mountain, yes, even though you may get wet, there are plenty of things you can do to protect yourself from the threat of the water jet. You can tuck your camera and phone into a plastic bag. Remove your watch so it doesn’t get damaged. Perhaps change into sandals before embarking instead of wearing socks and shoes that could turn into mush. Some people don ponchos throughout the whole ride. Here in New Jersey, we’ve taken similar precautions for Hurricane Irene. We stocked up on nonperishable foods; we have plenty of flashlights scattered all over the house. Our basement floor is cleared of anything that could be damaged by water. My husband cleaned the gutters yesterday and adjusted the downspouts. We’ll be charging our laptops and phones and iPods one last time tonight, cranking the refrigerator temperature down to its coldest setting. I’ve already decided we’re sleeping downstairs tonight so we’re as far away as possible from the tree limbs that hang near our bedroom windows. We have no choice; we’re riding the ride now, so we just have to follow the rules and prepare for splash-down. Of course I am still worried, but I am trying to let go of the things I cannot control. 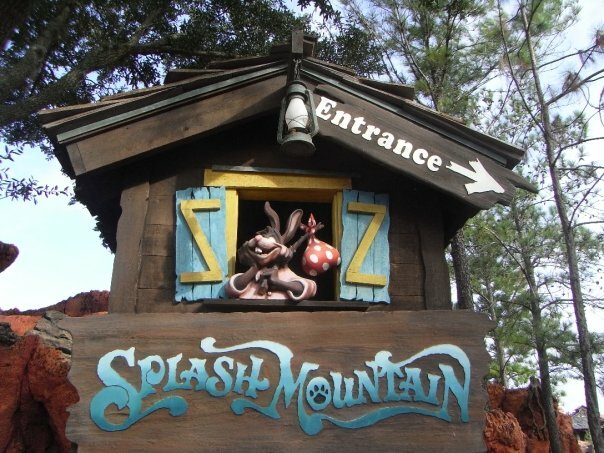 I don’t particularly like getting drenched on Splash Mountain, but that doesn’t mean I skip the ride entirely or spend the first 6 minutes of the ride whimpering, oblivious of the animated storyline unfolding around me. With Irene, even all the worrying in the world can’t stop electricity from going out or tree branches falling–we’ve put on our metaphorical ponchos and just have to enjoy the ride, I suppose.